Does this guy know his own name? 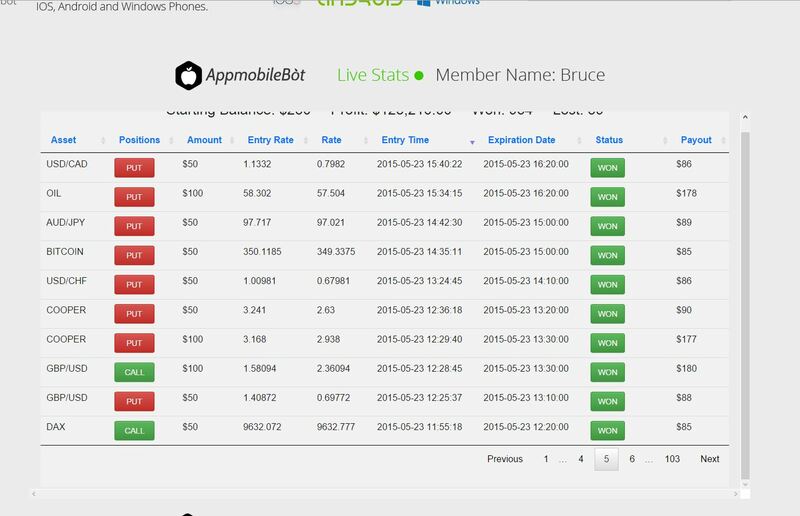 Here we have a brand new binary options scam that tries to profit of the Apple’s image, it is called the “APL Bot” or AppMobileBot and it is presented by Gunnar Erikkson. This scam is suspicious since the beginning. Once they call it the Apple Stock Robot, sometimes you hear them talking about the AppleBot, but they also use the name APL Bot and AppMobileBot. And Gunnar Erikkson is also Gunnar Errikson. Anyway, if you are reading this review, you know what it is about. This scam is really funny. Erikkson made a big web page about Apple, about how they make tons of money and he says that you will be able to profit too, because he will give you his robot that will trade binary options and make you millions. But when you look at the provided account statements, the bot trades everything: Forex, stocks, commodities. So not only Apple stock. But the intention is clear, they abuse the Apple’s image to impress you. Let’s get straight to the proofs that the APL Bot is a scam that abuses not only Apple, but binary options in general. First look at the testimonials. The web site says: Real testimonials of APL bot Traders. But no, just fake, look at the image, they just bought photos from some services like Shutterstock. So these are no real people. Trades from a Saturday? Fake stats. But the best proof of scam comes with the supposedly live trading stats. They show something like a 99 percent winning ratio, which is in itself impossible, but they also show trades from Saturdays and Sundays. But the markets are closed during the weekends, so you cannot open and have a binary option trade closed on a Saturday for example. So these stats and statements are fake. The APL Bot or whatever it is called is just a scam like many others that we uncover on our web site. Its only purpose is to make you open a binary options trading account and deposit money into it. The Apple Stock Bot will then trade your account and you will lose your money. So again, don’t let you fool by these scams promising free money. Earnings on binary options come only through learning and your own trading. You can make money, but you have to first learn trading. So, what about OneTwoTrade? They fleeced me good of $4,500-$5,000, half of what I inherited from my mother. I eat strong medicines that make me do things I shouldn’t do. Hi, did you lose everything? If not, try at least to withdraw what is remaining. I would tell everyone here to please not throw away your money at these scams. I will explain how they do this if there is any interest. I have read your review and thank you for the research. My question is, are the any legitimate Binary Options Bots that you would recommend? Unfortunately we don’t know about any. I really think that the only sustainable way leading to profits is regular trading. Learn, test and then trade. That’s the way of all successful traders. I have never heard about rich traders that made their fortune with a third party bot. I’m interested, I think I know the scam but please inform me. Thanks. I’m having a hard time opening up an account with this Apple treating bot, once I put in the password it rejects it and it says error please try again I’ve done that several times to no avail I tried calling them and they had me on hold for literally 4 hours I even tried emailing them on several contact emails and nobody has replied to me so far hopefully in this comment box I might be able to reach somebody that would actually be able to help me with this problem that I’m having it is so frustrating at this time for me. I suggest you read the review first. The APL Bot is a scam. Well thanks for your review. They sure do a real slick presentation with the APL Bot. I almost went for it and I am not easy to scam. Did some due diligence and found your review. One of these days someone is going to come up with a bot that wins. If I had the development money being the former head of development for HSBC I would do it myself. They do exist!! I went on a business trip to Montreal to visit the Bank of Montreal. While there I was allowed to see a bot in action that made money every day. It scanned ADR’s on the NYSE and found arbitrage trades between the ADR’s and the underlying Canadian stocks and made money instantly. So I know it can be done. Yeah, but banks’ robots cost millions and are very private, you won’t find them in the public domain. they just sent me the email with the scam, and they called me even before i finished the video, pressuring me to put money in the account … then when i told the bad tempered bad accent boiler room gypsy my opinion, he started yelling that they dont need loosers like me … i guess they scam 1000s of people … very sad … fbi should investigate them … if its too good to be … beware ! They keep calling me almost everyday which is annoying. Thank God there is a call blocker app. If not I would die from my phone ringing non-stop by their persistent calls. Thank God I was going to put my money in the this ApplBot!